This museum was created 10 years ago by the Guatemalan government as a tool to educate children in a fun environment. 9) Games for the mind. The entrance fee per person is $5 but if you get there in a week end there are special prices for families. My 6 year old son loved this museum, he got the chance to play all day and learn without knowing it. 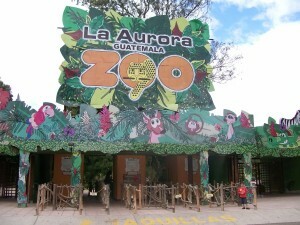 This is Guatemala’s national zoo and is located in Guatemala City. I mentioned it before in my list of favorite zoos and animal centers of Guatemala and I wrote a whole blog post on how much fun my son had in it. So you can imagine how cool this place is. What I love the most about it is that animals are not in tiny cages. They even look happy, so these guys are doing a great job. The entrance fee here is only $2 dollars per kid and $3 for Adults. 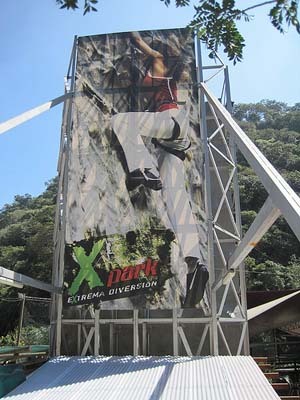 This is an adventure park located in the Hincapie Avenue of Guatemala City. My husband and son are completely in love with this place. There are tons of activities for adventurous people. Among others there is a climbing wall, an obstacle course, bungee jumping, gotcha and trampolins. For $15 you get a bracelet that includes free and unlimited use of almost all the attraction (gotcha is paid separately). 4 – Avenue of Las Americas This is the first phase of a project called Pasos y Pedales (Steps & pedals) by the Municipal Government of the City. It consists on fixing streets so that they can be closed during the Sundays. Now a days 5 phases have been completed with 10 streets around the city are closed on Sundays so families can go out and have some fun. In some of the streets you can find areas for biking, Tai Chi classes, open air gyms, areas where you can have some fun with your dog, and playgrounds. 5 – IRTRA Amusement Park Mundo Petapa is part of 7 parks and 4 hotels that were created by a group of private companies for their worker’s recreation. Affiliated workers can enter for free but anyone is welcome for a small fee. It was recently remodeled and now it has lots of fun rides for the whole family. They even have a zoo, a swimming pool and restaurants. I can’t start to tell you how much I love that place, the rides and the service. It’s a great place for a family day out. Well, I’m from Guatemala, I’m almost 20 and I love museums. And that’s the reason that I feel a little bit awkward because I have never visited the Children’s Museum. Even with that a lot of people tell that it’s an awesome place to go. Guatemala’s national zoo (La aurora Zoo) is an awesome place and over one year ago I believe they include pinguins to the zoo. I have heard about Xpark and now that I know. I will take my family over there, thanks. 🙂 And I’m absolutely agree with you about Avenue of Las Americas, it’s pretty cool to exercise at least once a week.